Easy. Delicious. Nutritious. Affordable. 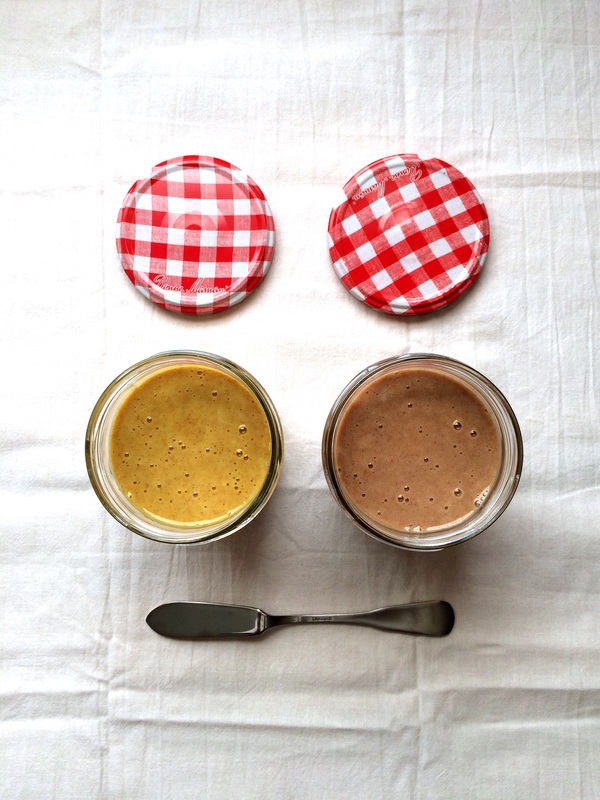 Skip those $10 – $15 jars of expensive coconut butter and DIY it! I bought a 5-pound bag of organic unsweetened shredded coconut for $13 and made my own jar of coconut butter for about 60 cents! It’s easy and you can add all kinds of flavorings to suit your condiment needs. I made a Vanilla Cinnamon version and a Yellow Curry version. Sweet. Savory. If you’re looking for a recipe to have fun with, to play around with, chutneys are the way to go. They’re incredibly versatile and very forgiving; you really can’t mess them up. They’re also a great way to use up a variety of fruit and vegetables you may have on hand. Have an overload of apples you need to use up? Some peppers that are beginning to wrinkle? Make this! Books and soup, a marriage made in polar vortex heaven. They’re a perfect pair; they go together like Benedict Cumberbatch and Martin Freeman (just can’t get enough Sherlock). This winter, my reading seems to be about discovery…or rediscovery. I’ve been delving back into some cookbooks I’d shelved for a couple years (Power Foods and Forks Over Knives), getting super stoked about new recipes and techniques in the kitchen (The Smitten Kitchen Cookbook and Wild Fermentation), and FINALLY reading some Michael Pollan (I’ve read several essays and articles by him, but not one of his books). I’m also about halfway through Outliers by Malcome Gladwell (more on that in a minute). I’m not the best at reading BOOK-books; I usually just read cookbooks. And I do mean I read them; I love reading recipes. My husband will sit in bed at night with a book-book — ya know, lots of words, no pictures — while I sit in bed with cookbooks, reading recipe after recipe and ogling the beautiful food photos. 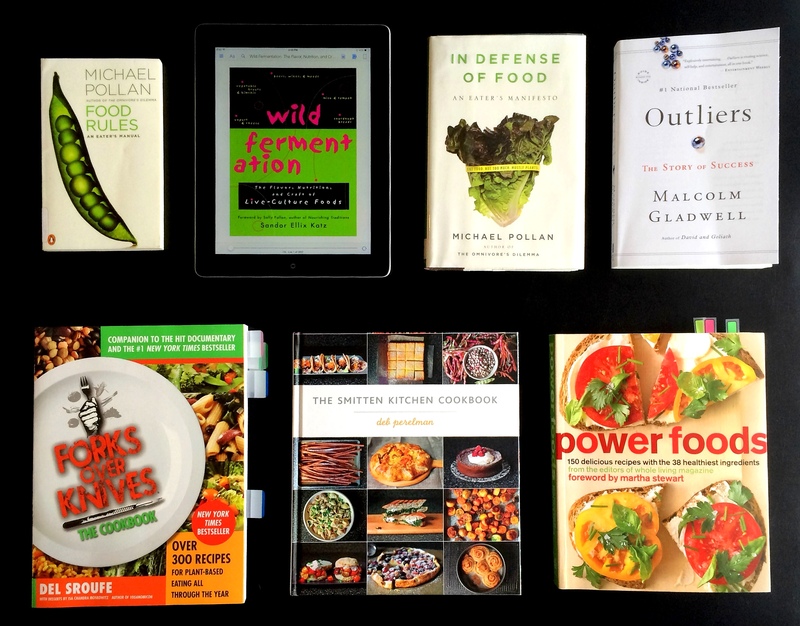 But I am trying to read more non-cookbook books and cram some knowledge into this food-obsessed brain. I am usually very skilled at killing plants. Though my intentions are good and I try my best to keep them alive, they’d much prefer to croak than endure my underwatering/overwatering/too much sun/not enough sun/is this the right kind of soil efforts. If having a green thumb is necessary to sustain the lovely gifts of nature, then I’m all fingers. Until now. About a month ago I was given a gorgeous peppermint plant and somehow have been able to prevent the thing from succumbing to it’s Jaime-induced demise. In fact, it’s growing like crazy! So what’s a girl to do with all this beautiful mint? I decided to have a nice, little tea party. 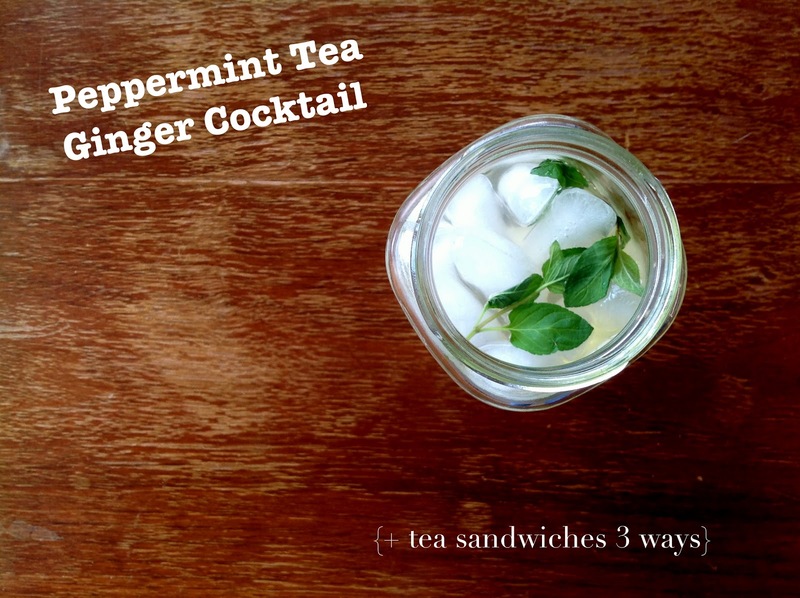 Mint-themed, and with gin. Heck yeah!